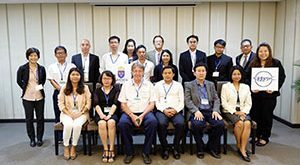 The SEAFDEC-Sweden Project organized the 2nd Sub-regional Meeting on Effective Fisheries Management between Cambodia and Thailand, which was held on 29-30 August 2018 in Koh Kong Province, Cambodia. 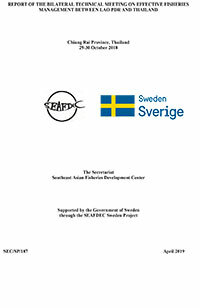 The Meeting was attended by the representatives from relevant agencies in both countries including fisheries, environmental and coastal resources and habitats, as well as representatives from SEAFDEC/UNEP/GEF/Fisheries Refugia Project, IUCN/MFF, and SEAFDEC officers. 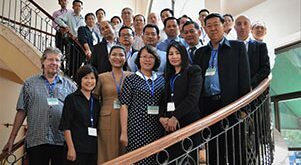 The aim of the Meeting was to strengthen the good relationship between Cambodia and Thailand in the conservation and management of fishery resources across the two countries. 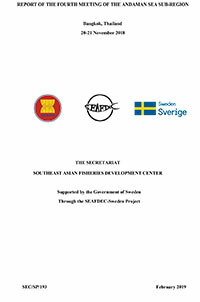 The Meeting was part of the work in progress under the Gulf of Thailand sub-region, which has built the interest of the countries to cooperate in fisheries management. 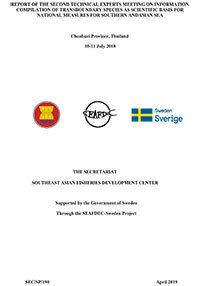 Moreover, the Meeting served as a platform for sharing of information on the progress of the countries efforts and implementation of regional projects such as transboundary fishery resources (Indo-Pacific mackerels and neritic tunas),which is linked to the integration of habitat management, updated national fisheries laws and regulations, vessels monitoring, and catch landings. 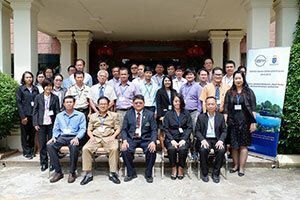 In the end, the countries agreed on key priority actions for the cooperation between the two countries to sustain fishery resources and habitat. 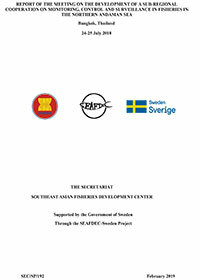 Prior to the bilateral meeting, the SEAFDEC-Sweden Project also supported the National Consultation on the Monitoring, Control, and Surveillance (MCS) on 28 August 2018, led by Mr. 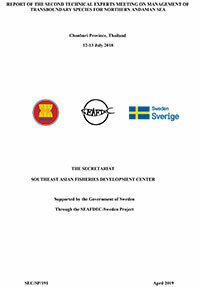 Buoy Roitana, Deputy Director-General of the Fisheries Administration (FiA) of Cambodia from. The Meeting was attended by the representatives from FiA, Marine Police, Navy, national committee on Maritime Security, and other relevant agencies. 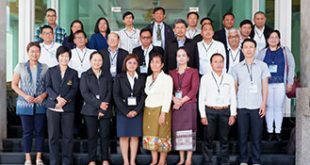 The Meeting discussed the national priorities on MCS in fisheries, in order to strengthen the national and sub-region cooperation with Gulf of Thailand countries.